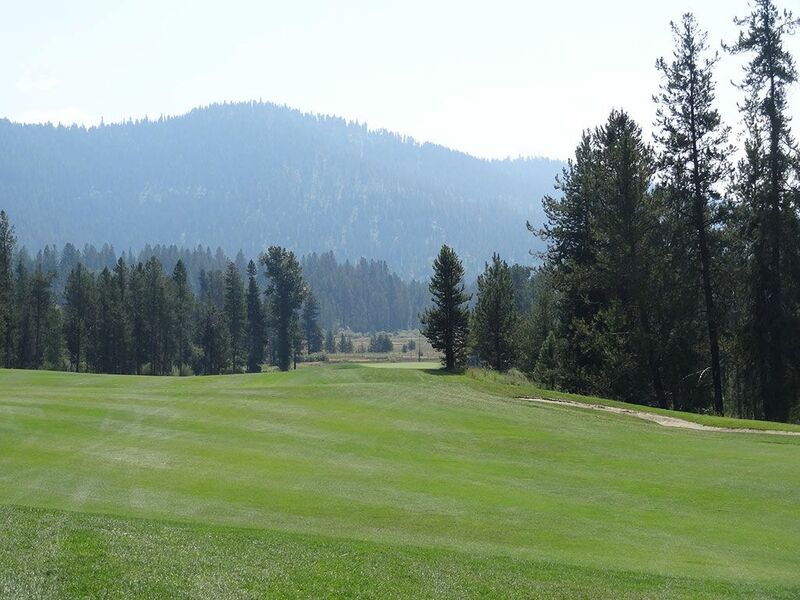 Course Website: Official Website - Visit Jug Mountain Ranch's official website by clicking on the link provided. 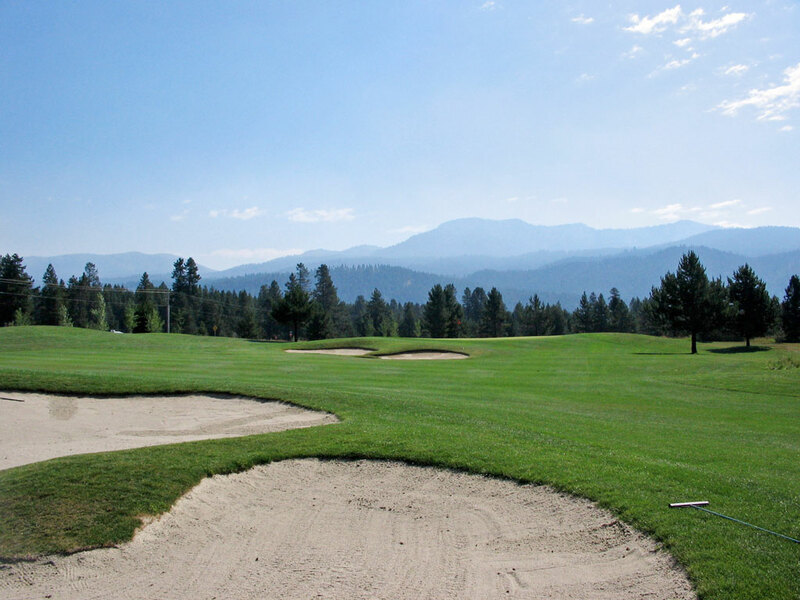 Accolades: Ranked 11th in Idaho on Golf Course Gurus' Best in State list. 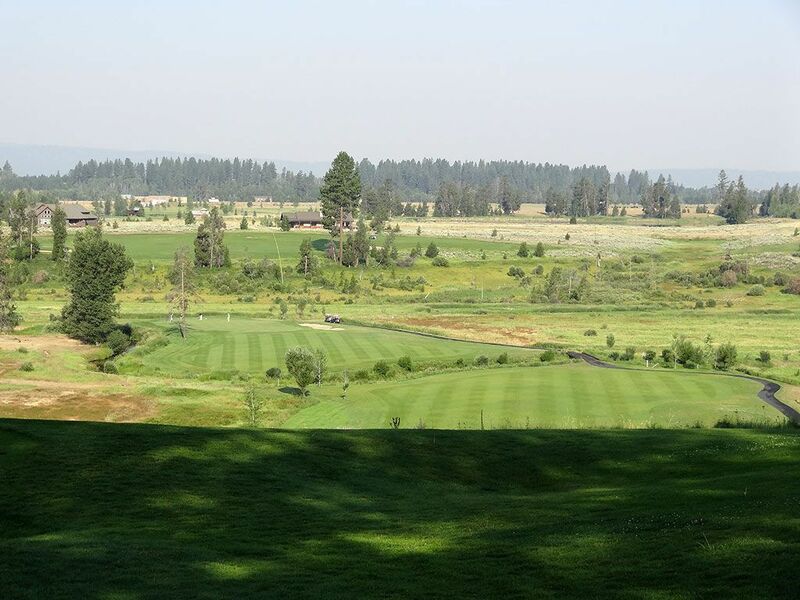 What to Expect: Jug Mountain is a public access facility with quite a bit of elevation change on the eastern holes and fairly flat with water hazards on the western holes. Currently the flatter western holes are the front nine with the eastern holes representing the back nine. However, when the clubhouse is complete on top of the highest point on the course the routing numbers will change. The review I am writing is based on what the hole numbers WILL be and NOT what they currently are. The course's website doesn't post a course routing or give much information on the course at all so I had little idea what we were getting into when we played Jug Mountain. Well, I love a good suprise and that is exactly what Jug Mountain offered. 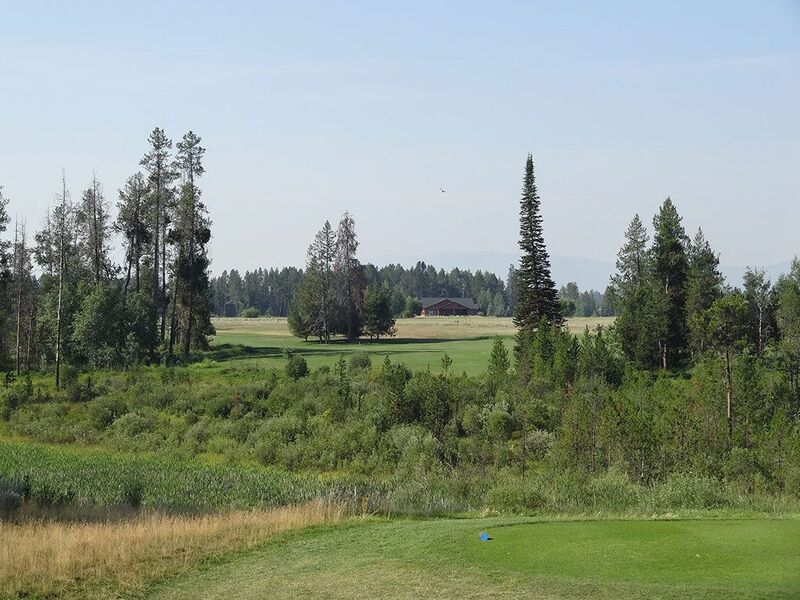 Lacking the budget of nearby Osprety Meadows at Tamarack Resort, Jug Mountain managed to do an excellent job with the course routing and becomes a fine addition to the McCall area. The collection of par fives is excellent and the course offers a fair challenge for most all skill levels. More than most courses however, Jug Mountain requires a handful of stiff uphill tee shots so an ability to get your driver up in the air a ways is important. 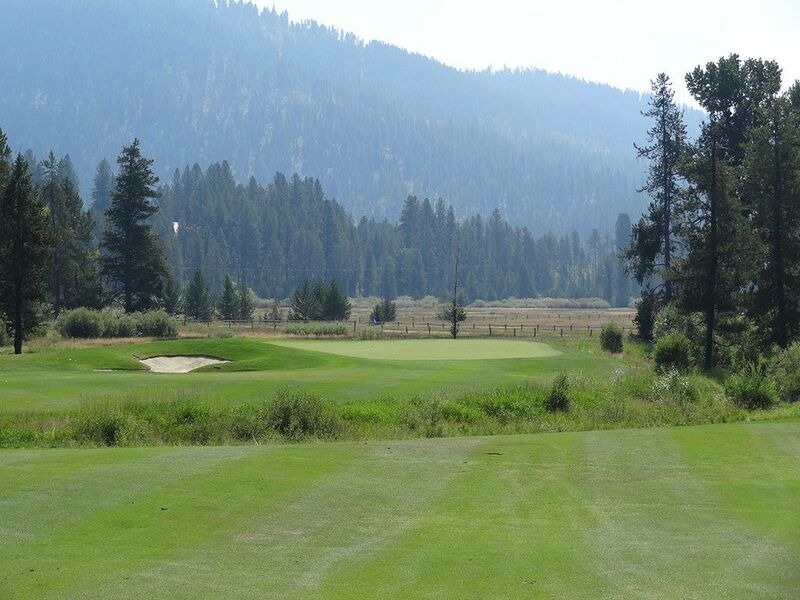 Overall, Jug Mountain is a fantastic setting with great golf holes at a fair green fee. Signature Hole: 1st Hole – 410 Yard Par 4 – A signature hole should be the first thing a golfer thinks of when recalling a golf course. While that often means the prettiest hole with a water feature of some sort will be targeted, at Jug Mountain it is the first swing of the day that jumps out and grabs your attention. 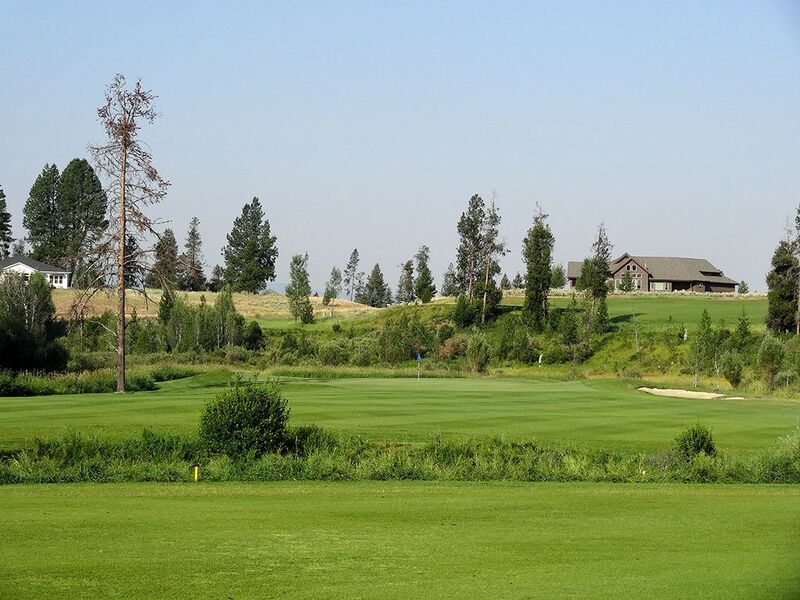 While most courses feature a run-of-the-mill "warm up" hole as the opener, Jug Mountain busts out an exhilarating severe downhill tee shot from the highest point on the course to a fairway where a river crosses near the landing zone. Panoramic views are offered from the box and the river that crosses the fairway cuts up and lurks next to the left side of the green as well. 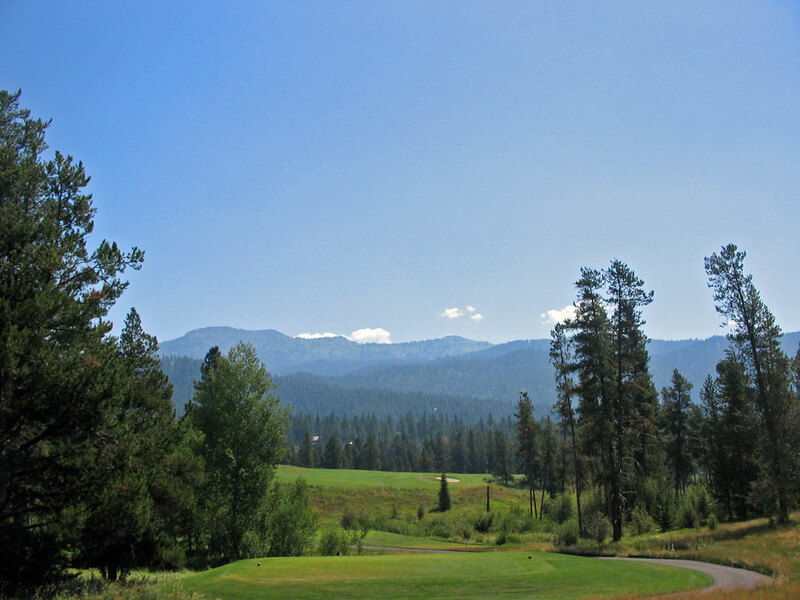 It is a perfect way to start a round that will feature plenty of elevation change and a solid challenge. 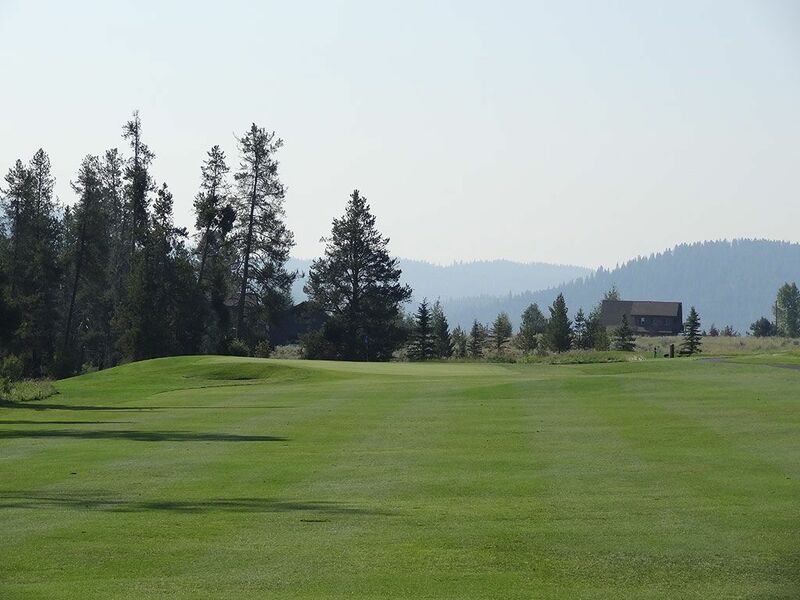 Best Par 3: 10th Hole – 201 Yards – It is rare in Idaho that you get a true "cathedral" setting with a thick tree line surrounding both sides of the hole, but that is exactly what the 10th hole offers. 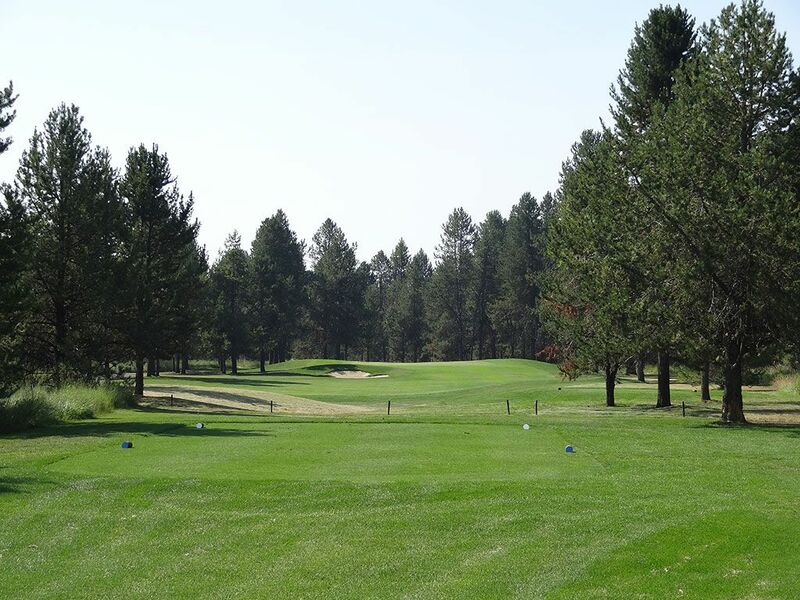 Reminiscent of holes found in Oregon, the Carolinas, and other heavily treed areas, this classic looking par three gives the golfer a feeling of complete seclusion and an opportunity to be one with nature. A small bunker short left is the only additional obstacle in finding this green 200 yards away and a fantastic way to begin a great stretch of holes on the back nine. Best Par 4: 6th Hole – 485 Yards – Playing from the tips can be all difference in the world of how much you enjoy a course, and this hole is a perfect example of that. From the forward tees the 6th hole is a rather straight forward par four with a patch of trees to avoid on the right side of the fairway. From the tips of this split tee hole though, it becomes a whole other animal with a large wetland area you are forced to carry with your drive and a much more difficult area to land your tee shot in order to be in good position for your approach shot. Jug Mountain is full of fantastic tee shots and the tips on the 6th hole is right up there with the best of them. Best Par 5: 13th Hole – 547 Yards – Jug Mountain features three par 5s that require hitting an uphill tee shot; two of which are to fairways where you probably won't see your ball land. The 13th at Jug Mountain boasts both of those features while still giving the golfer an excellent chance to get home in two. First of all, the tee shot is spectacular. 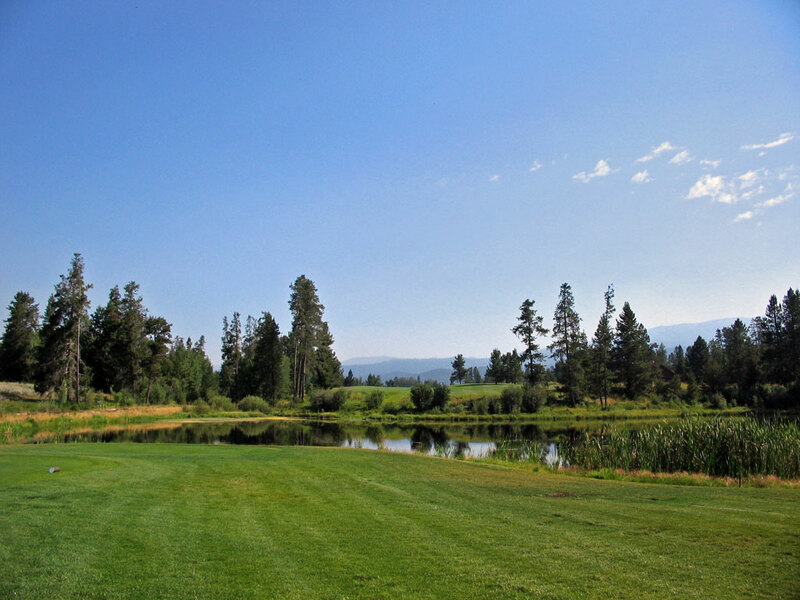 Having just finished the picturesque 12th hole, the 13th tee requires a drive that carries a pond while climbing in elevation and splitting the tall trees featured on each side of the fairway. Getting to the green from there requires navigating a fairway bunker and a left green side bunker. The 13th offers a stunning setting, fantastic tee shot, and rewards you with a chance to get home in two with a pair of solid shots. Birdie Time: 12th Hole – 336 Yard Par 4 – Hands down the prettiest hole on the course, the par four 336 yard 12th also gives you an excellent chance at birdie. 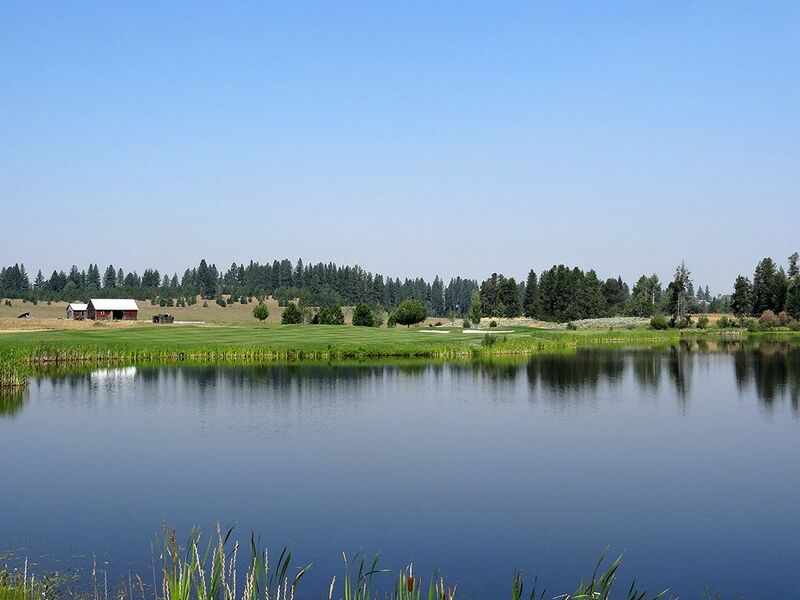 With the large pond consuming your view off the tee it is easy to get intimidated at this hole, but a deep breath and a smooth swing with a utility club will put you in great shape in a fairway that is more forgiving than appears from the box. With a wedge in your hand you should be able to drop your approach shot close to the hole on this slightly tiered green and roll one in for birdie. Bogey Beware: 16th Hole – 600 Yard Par 5 – The last par five of the day is also the last hole that requires an uphill tee shot. Plenty long at 600 yards, a big drive is required to the fairway that slopes hard toward a forest of trees and a bunker featured on the inside corner of this dogleg right. 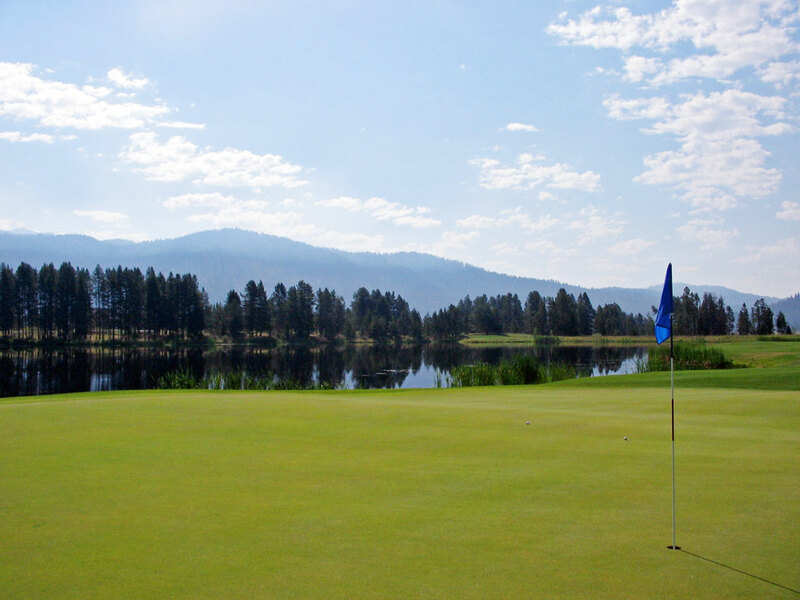 Once you've navigated your tee shot you'll have a decision to make on your approach. If the length doesn't hold you back from getting there in two, the hazard that crosses the hole 50 yards or so from the green just might. With forest lining both sides of the hole and a bunker protecting this realatively small green, there are lots of places to get in trouble on this hole and face a dreaded bogey.